Since the first rollout of LTE networks at the end of last decade, the global LTE subscriptions or connections over the last seven years has swelled to almost 1.8 Billion level but still contributing to just one-fourth of the world’s total population. Markets such as North America, Japan, Korea and China are already seeing LTE connections penetration from 60%-90% level. However, countries across Europe, Latin America and Asia are yet to see a blanket coverage and massive LTE subscriptions. 2017 and 2018 will be the inflection point for LTE subscriptions growth in these markets. What this means is massive scale for operators to realize greater capacity, lower cost per bit than legacy networks and rise of data hungry smartphone centric users which are now keen to adopt LTE much faster than they have adopted 3G. 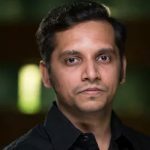 China is a classic example of the same and so is other big market India where millions of users are leapfrogging from 2G directly to 4G LTE. 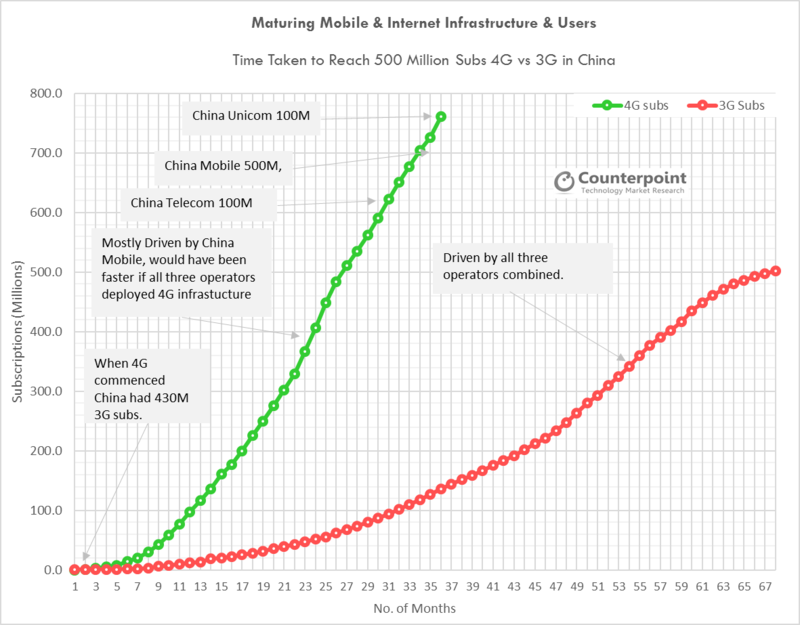 Exactly eight months ago at mid-year 2016 we analyzed (see here) how China’s 4G rollout was leapfrogging 3G by a greater margin in world’s largest mobile phone market. World’s largest operator in terms of subscriptions, China Mobile, raced to become the number one LTE network then amassing 250 million subscriptions, leading majority of this growth. Fast-forward to end of 2016, China Mobile has become the first operator globally to surpass 500 million 4G LTE subscriptions a feat and scale which will be difficult for many rival operators to achieve. During Q4 2016, China Unicom and China Telecom also surpassed 100 million 4G LTE subscriptions milestones. China overall saw its total LTE subscriptions climbing to 761.5M at the end of 2016 and on track to reach a billion LTE subscriptions milestone later this year in 2017. China Mobile alone commanded a whopping 70% share of the total LTE subs. It took just 27 months for China to reach 500 million LTE subscriptions whereas it took almost 67 months for 3G subscriptions to reach the same milestone and peak. 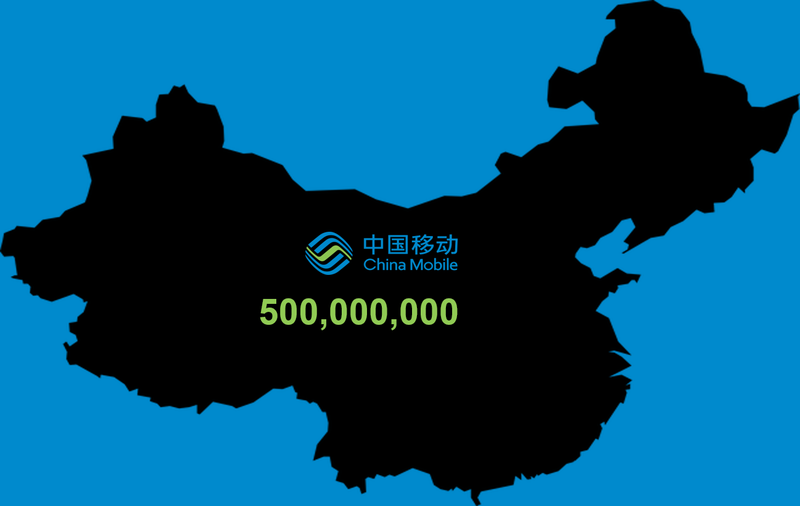 For China Mobile, it took almost 34 months to reach half a billion subscriptions milestone. 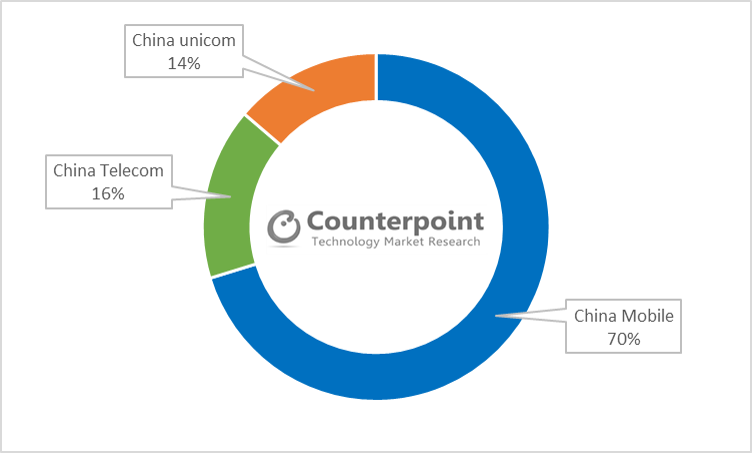 Riding on this trend our latest research (see here) shows that more than 450 million LTE smartphones were shipped in 2016 in China alone. Key brands driving this trends are Oppo, vivo, Huawei, Apple and Xiaomi (see here) with an all-LTE portfolio. For overall China, clocking 1 billion subscriptions would be the next milestone, which could be achieved later next year in 2018. With the upcoming wave of Internet of Things (IoT) and NB-IoT, the LTE subscriptions should almost double in next five years.